Long gone are the days of writing everything down on paper. With the latest technology, students and teachers can now share notes with just one tap. They now use downloadable programs, or more commonly known as applications or apps, which can be used for both productivity and entertainment. Due to usability and simplicity, apps have been embraced in education, and learning is radically changing. Students, regardless of their educational level, use apps for different educational purposes. It can be for resource, file sharing, and so much more. Here are some best applications for the iPad App and other iOS devices. Need to look up a word? The Dictionary.com app is extremely handy. You can search the definition of troublesome words like mizzle. Just like its website counterpart, the Dictionary app offers comprehensive definition. Want to widen your vocabulary? This app comes with the Word of the Day feature! 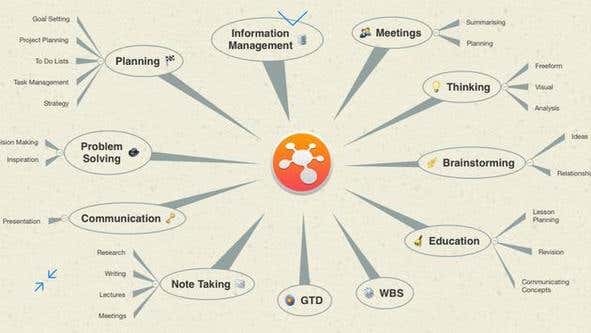 Keep track of your ideas with this digital mind map app called iThoughts HD. This app allows you to write your ideas for project planning, task disseminating and even goal setting. You can write your own notes in it or export files from ConceptDraw and other sources. When you are mapping out your ideas, you can export it to Word, Powerpoint, and make it a PDF file. Evernote is one of the best free applications in iOS. It is extremely easy to use and handy. You can capture photos, record voice reminder and everything that you need to improve your classroom productivity. This App is also best for workers and those who are always on the go. Google software promotes cloud-based collaboration between students and teachers. You can create files like spreadsheets and presentations and invite others to review them. You can limit the access privileges and even track changes. Aside from sharing, it also allows you to send large files. If you need more than its standard and free 5GB of storage space, you can get more at a low cost. This application is also available in computers and laptops. Edmodo is a specifically designed to aid in social learning platform. It is free and takes learning to the next level. This app allows teachers and students to efficiently connect together. 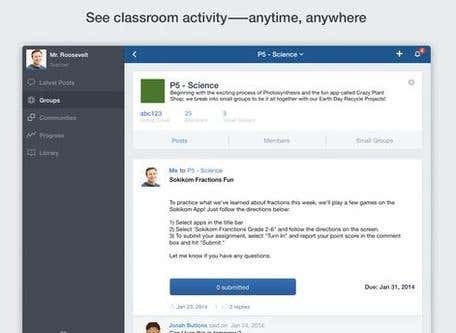 For users and experts, Edmodo is the Facebook for learning. With Edmondo, teachers can monitor classroom activities. It can also has real time feedback and a built-in gradebook. So how does it work? Students are invited by teachers in private groups. A signup code is provided for the whole class. These codes are often shared with parents so they are up to date too. This app can only be moderated by the professor. Students are not given privilege to private message one another. Whether you are an educator or a student pursuing his college degree, using apps for learning is becoming widely accepted across different levels of education. I'm a freelance writer specializing in on-page and off-page SEO content for local and international websites. This article is about different parenting styles, and how these affect the well-being of a child.